At home, the two brothers would embark on one project after another — delving into their father’s math texts, creating comic books, or trying to derive Kepler’s laws of planetary motion. Daskalakis’ gentle disposition coexisted with an intense desire to understand the world around him. When he was in eighth grade, his father brought home an early Amstrad computer, and Daskalakis stayed up all night trying to figure out how it worked. “I told my parents, ‘I know I have to go to bed, but this is very important,’” he said. “They let me stay up.”As Daskalakis made his way through high school and then undergraduate studies in electrical and computer engineering at the National Technical University of Athens, it quickly became clear that he was an extreme outlier. He earned perfect scores in all but one of his undergraduate classes, a feat never before achieved in the university’s nearly 200-year history. “Every teacher you will ask about Costis will remember him, even 20 years afterwards,” said Alexandros Dimakis of the University of Texas, Austin, who was Daskalakis’ schoolmate in both undergraduate and graduate school. 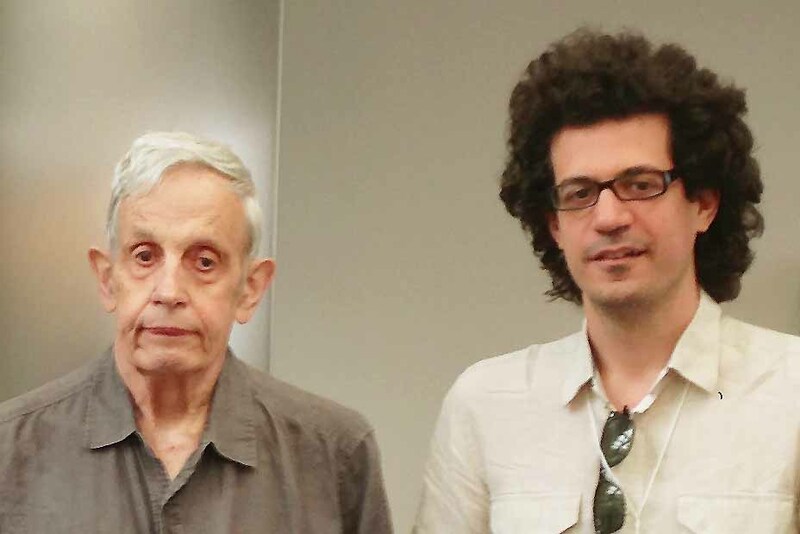 Daskalakis with John Nash in 2013. Originated by the mathematician John Nash, the subject of the best-selling book and feature film A Beautiful Mind, the Nash equilibrium represents the most stable (and in some ways the most sensible) behavior players in a strategic game can choose. Players are at a Nash equilibrium if they’ve each chosen a strategy and none of them could have improved their lot by switching to some other strategy, given what the other players chose to do. In 1950, Nash proved that every game has a Nash equilibrium.Nash’s theorem launched the modern field of microeconomics “by allowing any economist, when contemplating some institution or market or mechanism, to sit back and think, ‘OK, let’s see what happens at equilibrium,’” said Papadimitriou, now a professor at Columbia University.